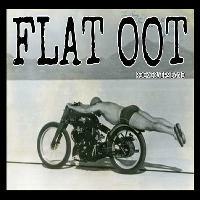 Flat Oot are an experienced and dedicated rock covers band with a superb set list including ZZ Top, Skunk Annansie, Wolfmother, White Stripes, Led Zepp, The Polis, Doobie Bros, Cult, Cranberries just to name a few. The band have played many moons ago (6 years ago to be exact) but as like many covers bands from out the area the locals didn't really turn out in force or at all despite a lot of effort from the band and the club in promoting. Free to ALL Vip Card Holders.